I knew that once I’d invested in a decent handbag, I’d struggle to go back to buying just any old thing. Once you’ve carried the best leather around on your shoulder you don’t want to go back to pleather. It’s just the start of a very expensive problem. But a problem that I’m willing to have. 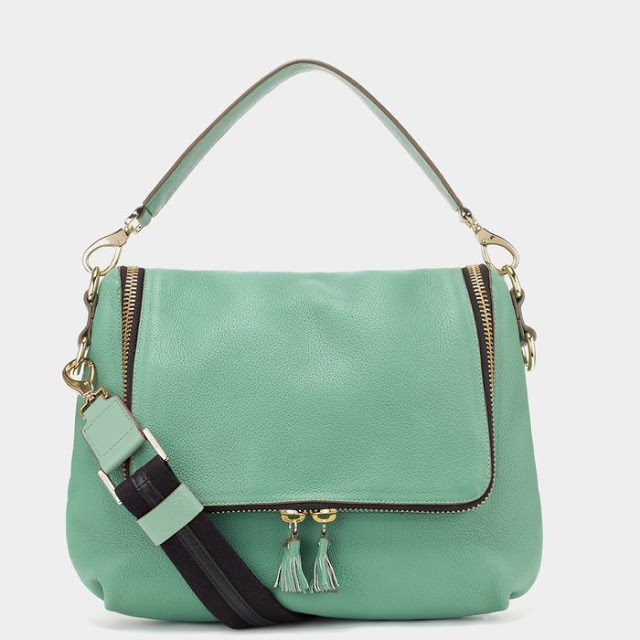 This here is the Anya Hindmarch Maxi Zip Stachel in Celadon and current expensive problem in my life. You see, I want it but I can’t have it, for two reasons. 1. Although massively reduced in the sale (£795 down to £395) I can’t afford it. 2. It’s sold out. Which kind of solves my problem and makes it worse at the same time. It’s no secret that I’m instantly attracted to chunky zips and leather tassel and while this bag has both, it also has these cute labelled compartments for coins, cards and your phone. 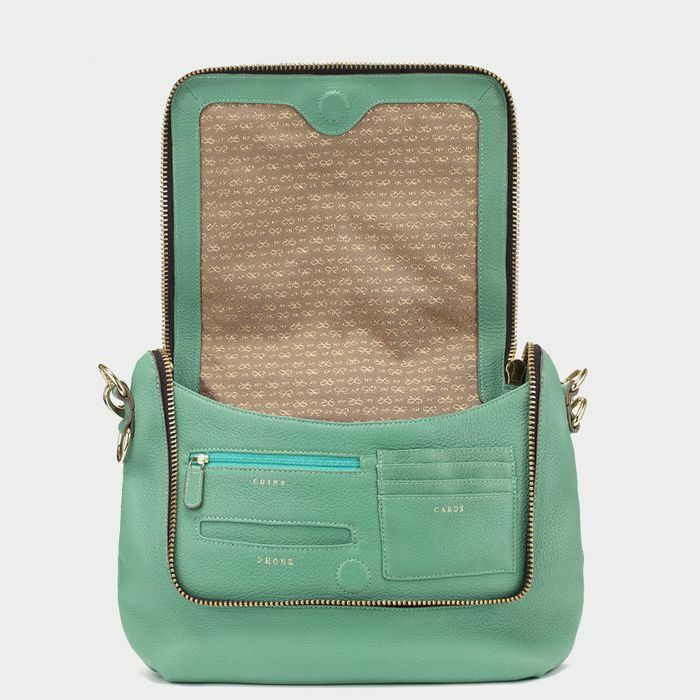 It’s an Anya Hindmarch classic. What’s more the soft green colour is exactly what I’m looking for this summer. Dammit.